Telangiectasia is a condition in which tiny blood vessels become enlarged causing thread-like little red lines or patterns on the skin. These patterns, or telangiectases, form gradually and in clusters. Often found on the face around the nose, chin and across the cheeks, they are also commonly called “spider veins” when on the legs because of their fine and web-like appearance. An incredibly common vascular condition with a quick and easy solution: Vascular Therapy. 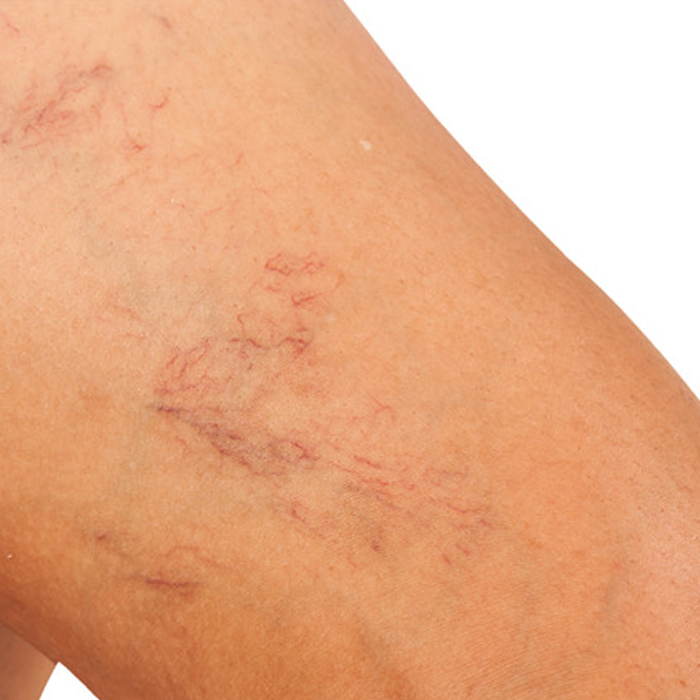 A couple of quick zaps (non-invasive, no downtime) with our Laser and these veins become a thing of the past for you! You no longer have to disguise these areas with makeup or cover up with long dresses or pants in the beautiful summer heat. The main reason to consider vascular treatment is that the procedure is quick and works very well to eliminate any unwanted vascular vein. The laser destroys the veins, so that they collapse and disappear from view. Although you might need a few vascular treatments to get the full results, there is no recovery or downtime needed. We recommend patients refrain from excessive sun exposure and require everyone to wear sunscreen daily for at least a month and preferably lifelong. 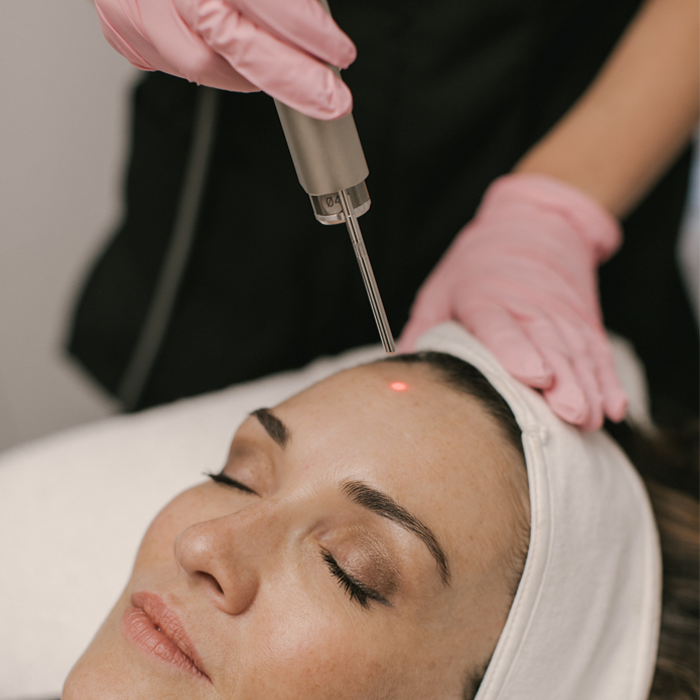 Treatment takes 15-30 minutes depending on the size of area treated. The laser is pulsed over the tiny vessels, which feels like quick rubber bands flicking. Your skin will be slightly flushed and can be slightly raised similar to “cat scratches” which returns to normal within a few hours. Bruising and swelling may result which usually resolves over a few days to week. Improvements are usually long lasting 12 months or more, but depends on condition being treated.